2/3rds of The Neighborhood Trio, Dan Schwartz and Nick Salisbury team up for a spacious guitar & bass duo. They deliver roots based, melody driven acoustic tunes that float between the lonesome prairie and the edge of town. Starting at the very beginning, his dad’s interest in The Grand Ole Opry and his mom’s fondness for American Bandstand immersed Dan Schwartz in a wide variety of great music. This influence resonates in the range of music he composes, records and performs today in his solo work and with group: The Neighborhood Trio. Dan has written and released nine CDs and has been featured on several internationally released acoustic guitar compilations including Narada Records Masters of Acoustic Guitar. 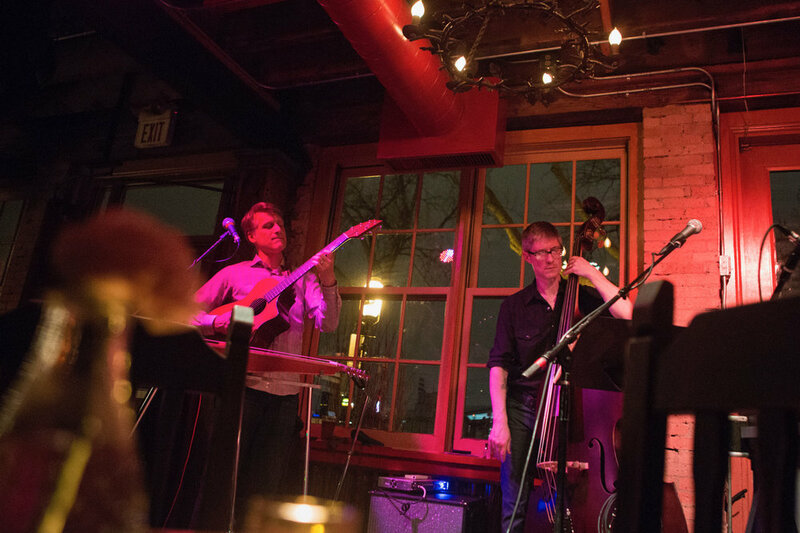 His recordings have earned him a nomination for guitarists of the year (Minnesota Music Academy) and local Folk/roots album of the year (Mpls. St Paul Magazine). 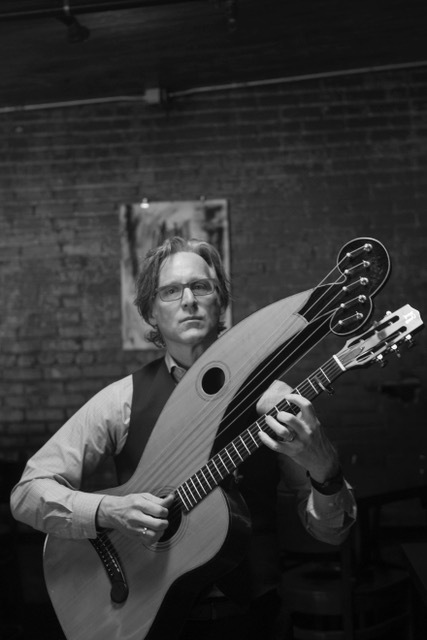 His latest solo CD, a collection of finger-style guitar tunes played on harp guitar and acoustic lap steel, was released earlier this summer.